The addition of single-board computers and ODM services signals a change in strategy that will help serve existing customers better and address new customer groups. The congatec conga-TC87 COM Express compact module is equipped with the new embedded processors of the Intel(r) CoreT U-Series. Despite offering greater performance, the maximum thermal design power is only 15 watts. 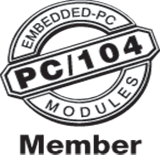 Qseven embedded computer modules based on ARM architectures are an ideal solution for virtually any low-power or ultra-mobile embedded PC application.